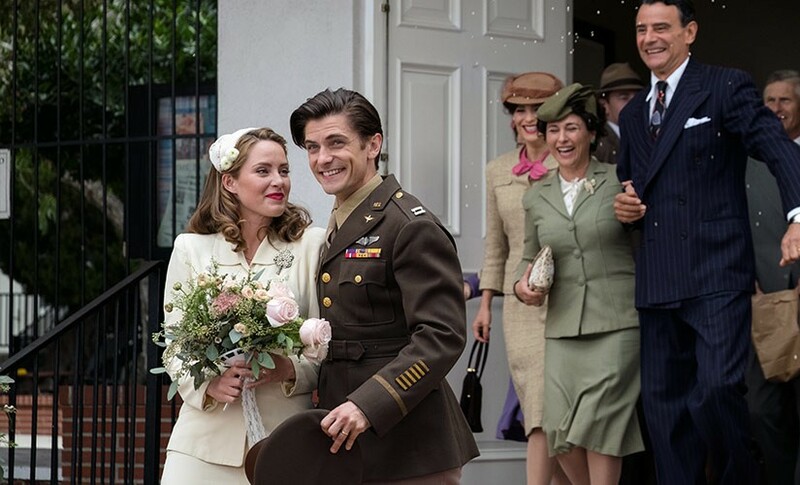 The 2014 movie Unbroken told only half the story of World War II veteran and prison camp survivor Louis Zamperini, but a new film – a sequel to that earlier hit – recounts the incredible second chapter in his life. Titled Unbroken: Path to Redemption, it shows Zamperini returning to the United States a bitter and angry man, battling post-traumatic stress disorder. Zamperini then travels back to Japan to forgive his captors – the men he had hated for torturing and nearly killing him during his two years in captivity. Billy Graham’s grandson, Will Graham, who plays the famous evangelist in the movie, calls Zamperini’s life “one of the greatest stories of forgiveness outside of the Bible.” Zamperini went on to become a Christian evangelist. In the movie, Zamperini finds romance when he meets Cynthia, but he quickly turns to alcohol to try and cover his discontentment with life. He even hides alcohol in the toilet tank. A former Olympian, he’s frustrated that he can’t return to his once-dominant physical form, so he visits bars during the day instead of searching for a job. He’s also angry at his Japanese captors, and soon he purchases a plane ticket to Tokyo so he can find and kill them. But none of this makes him happy. He’s miserable—and he desperately needs to be saved. Key thought: Ever since the Garden of Eden, people have tried to find contentment in sin. Even though it may bring temporary pleasure, it never brings true joy. Key verse: “If you live according to your human nature, you are going to die; but if by the Spirit you put to death your sinful actions, you will live” (Romans 8:13). Key questions: What is our society’s attitude toward sin? Do your friends and relatives believe sin will bring them joy? Have you ever felt that way? Why is sin so attractive? Have you ever been caught up in or addicted to a particular sin? Zamperini does his best to reject God, and he’s not shy about telling others his feelings. When a priest urges him not to forget God, Zamperini retorts: “Don’t worry, Father. I give him all the blame.” When his new romance, Cynthia, asks if he ever prayed during war, he responds with a simple, “No.” And when he and Cynthia later discuss spiritual matters, he tells her, “God is my enemy.” God, though, never gave up on Zamperini. Key thought: God never gives up on us. God never fails to love us despite our tendency to go astray. Key verses: “The Lord is loving and merciful, slow to become angry and full of constant love. He is good to everyone and has compassion on all he made” (Psalm 145:8-9). “What do you think a man does who has one hundred sheep and one of them gets lost? He will leave the other ninety-nine grazing on the hillside and go and look for the lost sheep” (Matthew 18:12). Key questions: Looking back on your life, can you think of a moment where God didn’t give up on you? Or a time when God rescued you? Do you sense God pursuing you right now? Do you believe in and trust Christ? Cynthia considered separating from her husband when he went astray, but she changed her mind after visiting the Billy Graham Crusade one night by herself. “I love you and I will not divorce you,” she tells him. Cynthia then invited him to attend the Crusade with her. It changed his life forever. Key thought: It’s true that the gospel—and the gospel alone—can transform a sinful heart. But God has chosen us to be his “instrument” (Acts 9:15) to tells others about Christ. That’s the heart of the Great Commission! Key verse: “When the Holy Spirit comes upon you, you will be filled with power, and you will be witnesses for me in Jerusalem, in all of Judea and Samaria, and to the ends of the earth” (Acts 1:8). Key questions: Did God use anyone – a stranger, a friend, a family member – to tell you about Christ? Have you ever been used by God to lead someone to Christ? Why are so many Christians hesitant to share their faith with others? Is God using someone to help rescue you right now? When Zamperini accepts Christ and travels to Japan, a reporter spots him and asks: “These men did terrible things to you. What are you going to say to them?” As the best-selling Unbroken book reported and the 2014 film showed, Zamperini had been starved and beaten regularly—for everything from not understanding commands to talking in his sleep. Zamperini, though, forgave his captors, demonstrating the power of the gospel. Key thought: Forgiveness is at the core of the gospel message. Christ forgave us … and we should forgive others. Key verse: “Be kind and tender-hearted to one another, and forgive one another, as God has forgiven you through Christ” (Ephesians 4:32). Key questions: Are you finding it difficult to forgive someone? Is there someone you need to forgive? If so, what is holding you back? How does the gospel message shape our attitude toward forgiveness? Louis Zamperini’s life story is like an amazing true tale that held back a great surprise until the very end. The 2014 movie Unbroken was an amazing story of courage and perseverance. But the next chapter in his life—a chapter that involved forgiving his once-hated captors—is what makes his life story truly remarkable. Note: Due to themes involving alcohol, war and divorce, Unbroken: Path to Redemption may not be suitable for small children. It contains no coarse language or sexual content and is rated PG-13 for thematic content and related disturbing images. 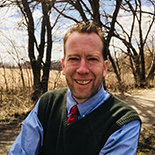 Michael Foust is the husband of an amazing wife named Julie and the father of four small children. He's been a writer for 20-plus years and has covered the intersection of faith and entertainment for more than a decade. Learn more about him at MichaelFoust.com.